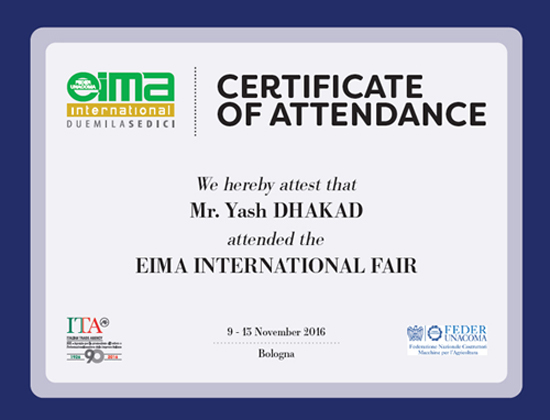 Also this year Kisaan Helpline will be present at EIMA International 2016, International Agricultural and Gardening Machinery Exhibition, Bologna, November 9-13. EIMA International is the International Exposition of Machinery for Agriculture and Gardening, a biennial event created in 1969 by FederUnacoma, the Italian Agricultural Machinery Manufacturers Federation, and organized by the federations service division, FederUnacoma Surl, in collaboration with BolognaFiere. The organization rational of the merchandise exhibits provides an enormous stage - reserved for professional business visitors on the first two days of the review - for the general public of enthusiasts able to immediately focus on their sectors of interest for better organizing their visits. EIMA is indeed the venue for the arrival of business people from sixty countries. 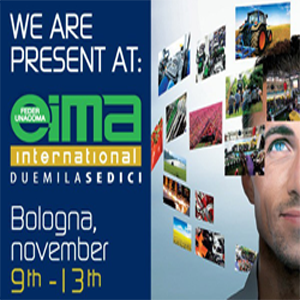 EIMA is held in Bologna Trade Fair quarters on an exhibition area of 375,000 m2, 140,000 m2 net. Each edition hosts some 1,900 companies from forty countries exhibiting more than 50,000 models of machinery and equipment for all types of agricultural operations or green work for every model of enterprise. More details here: EIMA International 2016...!